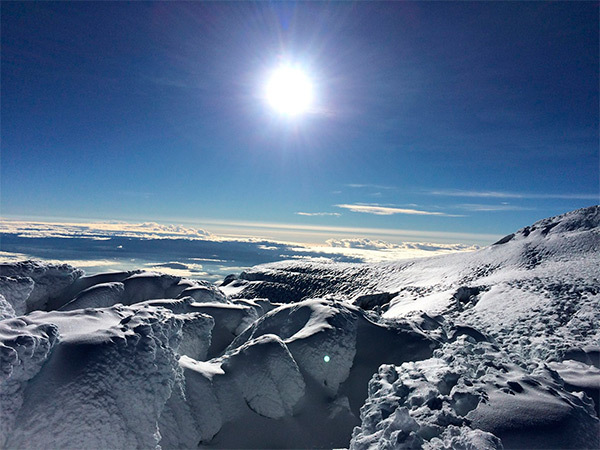 Climb 5 Ecuadorian Summits in 11 Days , Climbing up to Chimborazo Volcano, Chimborazo summit 6268 m. The closest point to the sun, 11 day trip ASEGUIM mountain guide, Cotopaxi Travel offer the cheapest climbing tours in Ecuador. Ecuador and its famous Avenue of The Volcanoes are one of the best places of the world for those who love mountaineering activities, variety of landscapes and challenging surfaces. 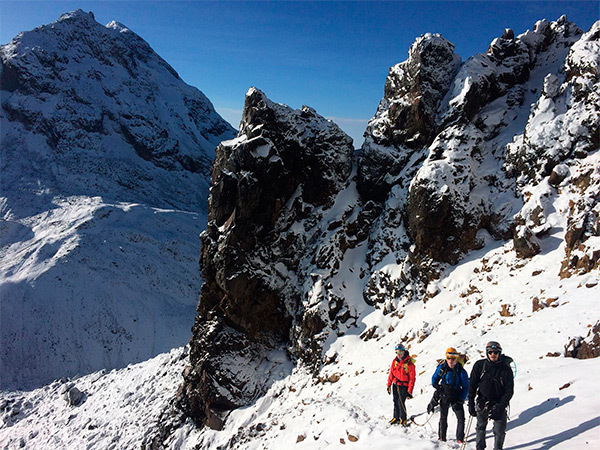 This time we invite you to a very exciting hiking and ice climbing adventure across the green lands, the secret paths and the snow-covered peaks located along the Ecuador Line. These 11 days will be very intensive because we will climb up to five different volcanoes. Our base will be El Chaupi, a small town at 3.300 meters, where we will go back after each summit hike in order to rest for the following ascent. You will be taken from Quito airport to the accommodation where we will meet each other and get ready for the following day. We will drive 2 hours to get to Pasochoa. We will hike across a big forest and when we are in the middle of it, a 4230-meter summit will appear. It will have steep slopes during the ascent, but once in there we will have the most privileged viewpoint of all. Then, we will return to El Chaupi. 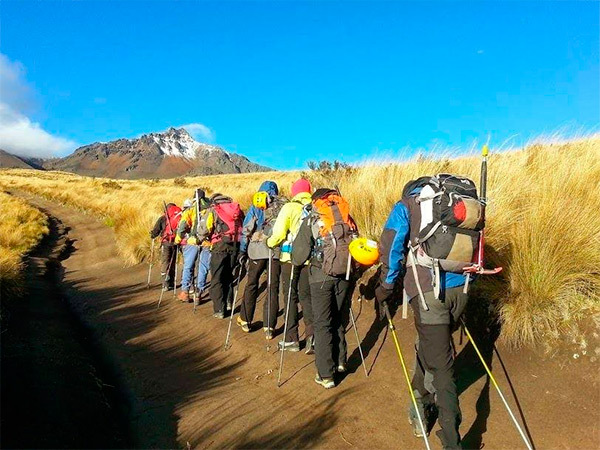 During the way up to Corazon summit, we will enjoy green lands and fantastic landscapes. But after an hour of the start we will find that the surface turns into a harder one. The ascent to Corazon 4.786-summit will take us about 8 hours. Once in there we hike down to El Chaupi again. 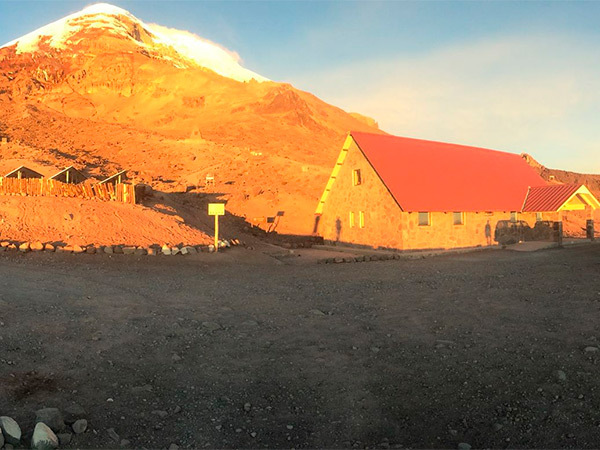 Nuevos Horizontes is a hut located at 4.750 meters of altitude, between two peaks called Illinizas. 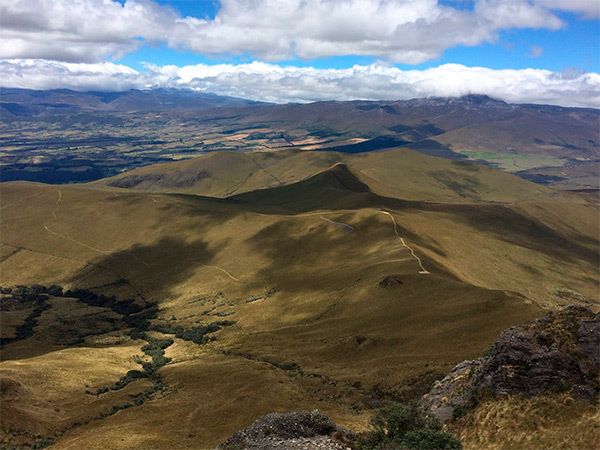 The climb up to there will help our body to acclimatise before our third high top: Illiniza Norte. The ascent to Illiniza North top will be unbelievable. On the way we can admire green landscapes and scrambled paths. The climb will take us about 8 hours but once in the summit, you won’t want to go down. Our fifth day finishes when we get to El Chaupi after 3 hours of hiking. We will hike from El Chaupi to Oleas Ruales Refuge at 4.600 meters in order to rest there and have some preparation for the following summit day towards Cayambe Volcano. The climb up to Cayambe is amazing. During its 8-hour hike you will enjoy such versatile surroundings. Getting to the summit means we will be at 5.790 meters of high! After taking some pictures and admiring the viewpoint, we go down our base in El Chaupi. We will spend our deserved resting day in the marvellous lagoon of Quilota Shalala before returning to El Chaupi to sleep and get ready for the last part of this intensive trip. Leaving El Chaupi early in the morning we will head to a hut called Whymper at 5.000 meters, the previous stop before our last summit. 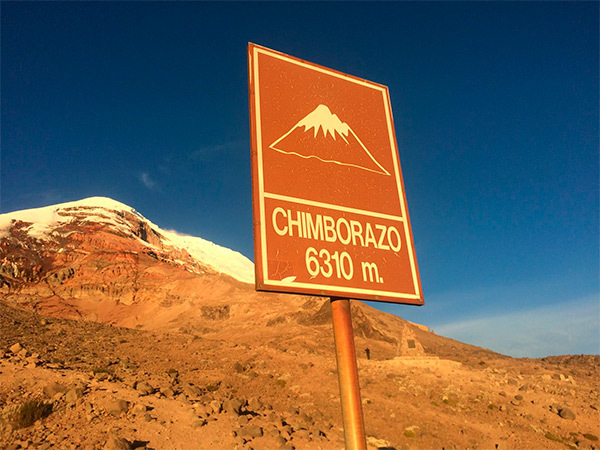 Chimborazo is considered the closest place to the sun because it is located just in the line of Ecuador, where the earth is wider, at 6.310 meters. After a hard climb we will get to the summit and celebrate we could visit the best five volcanoes of all Ecuador together! Once in Quito again, you are free to go home or keep visiting the amazing country of Ecuador. You can’t tell me this adventure is not a temptation for those who like mountain challenges. I am sure you are one of them! I will be waiting for your contact to organize your trip across these five volcanoes.